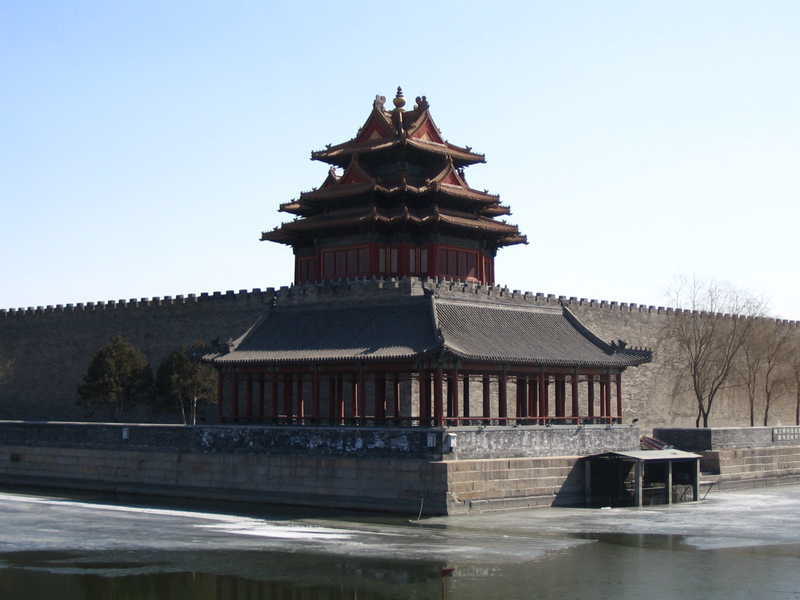 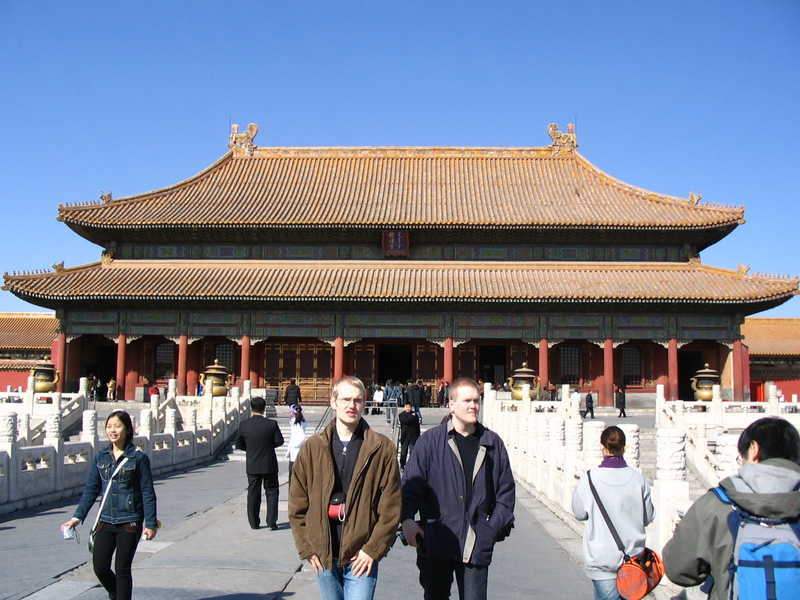 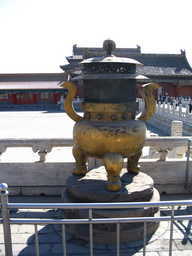 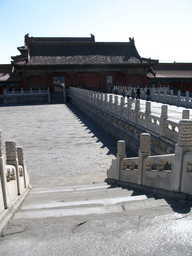 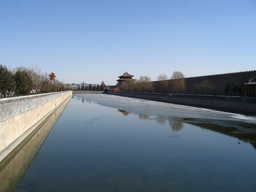 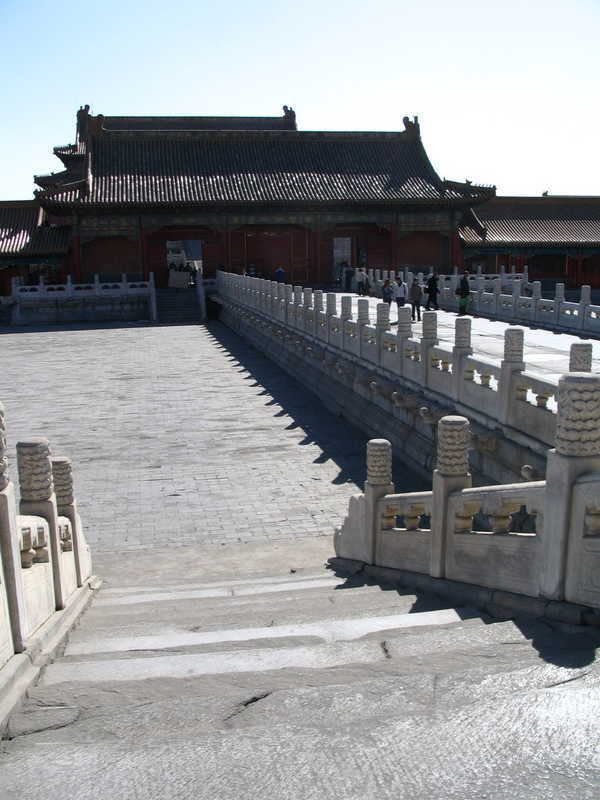 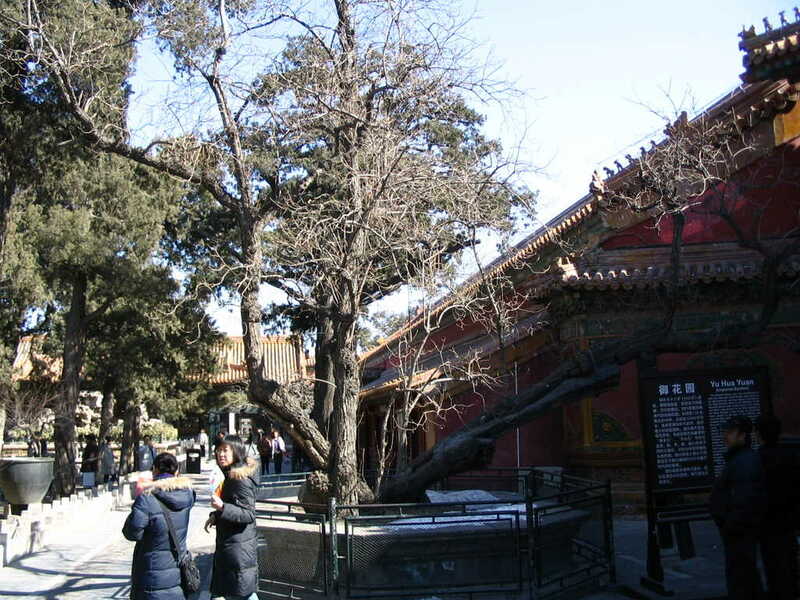 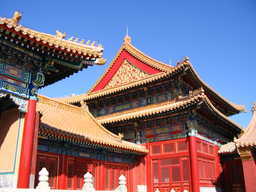 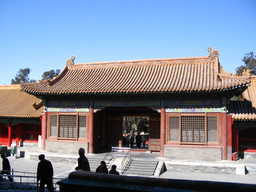 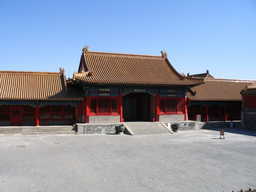 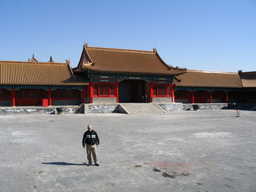 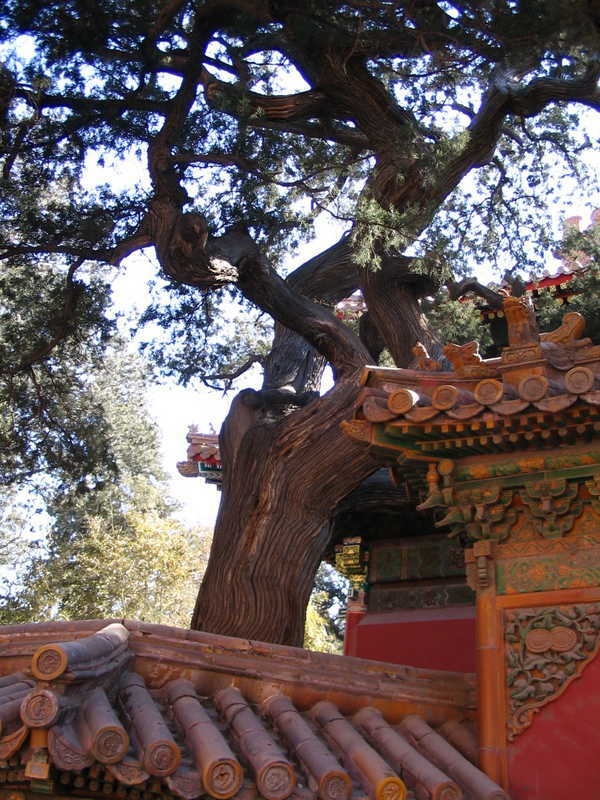 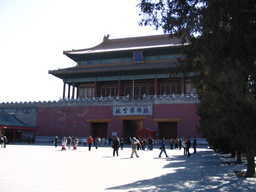 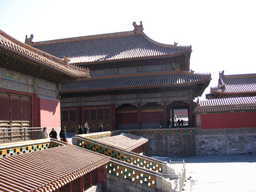 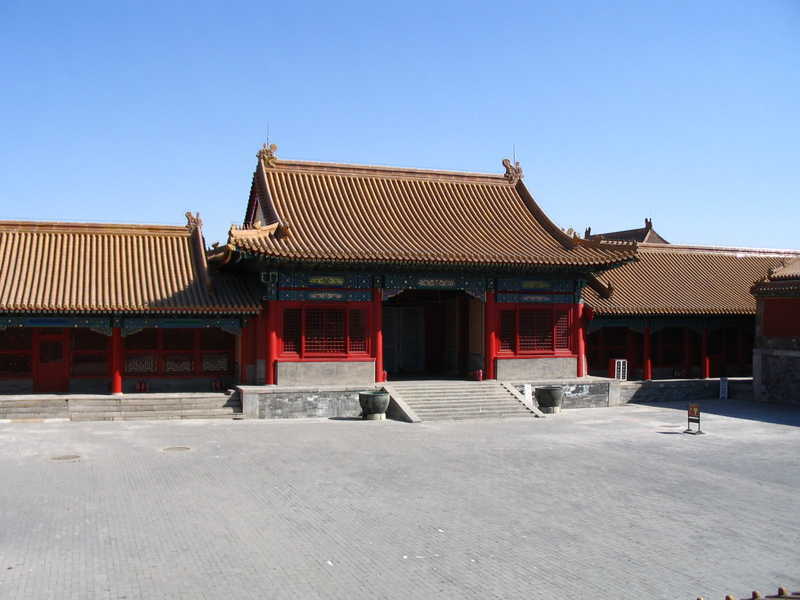 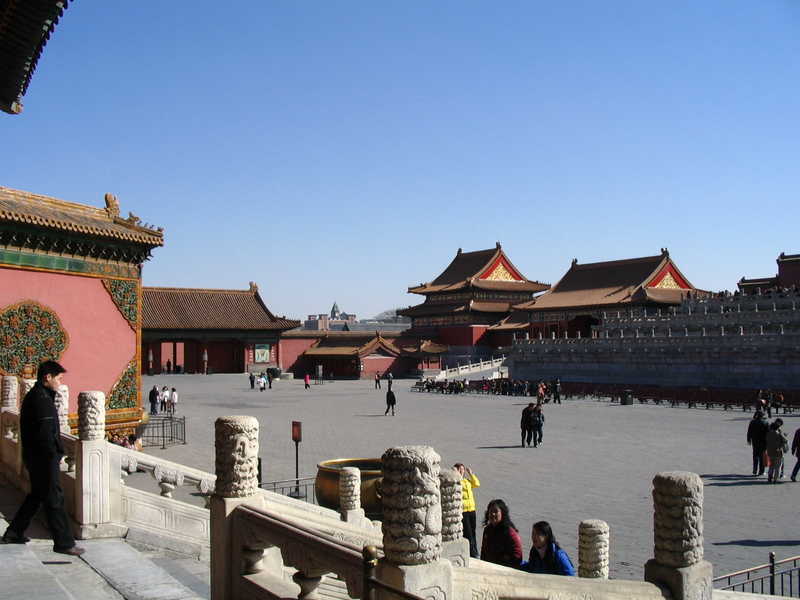 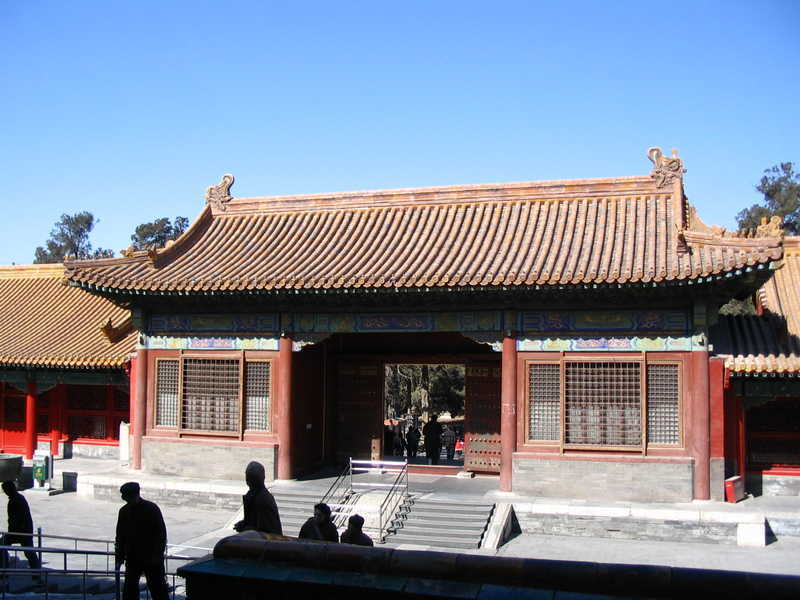 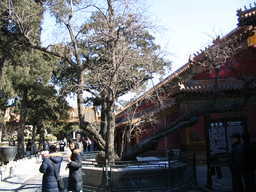 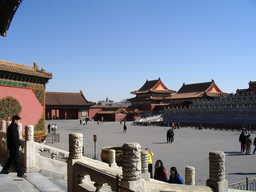 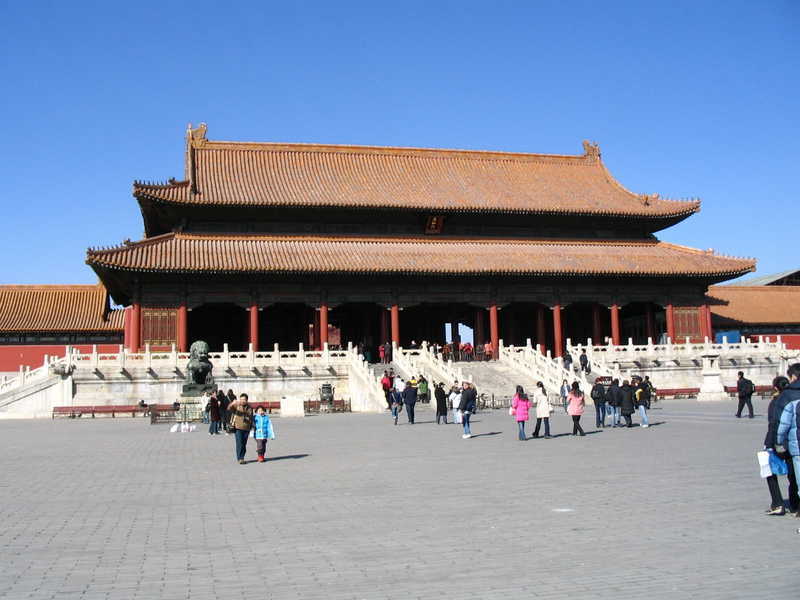 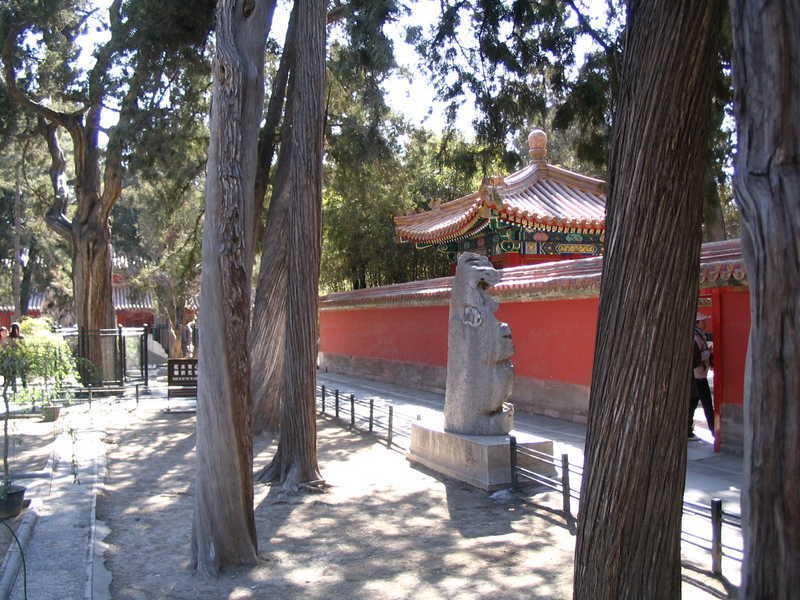 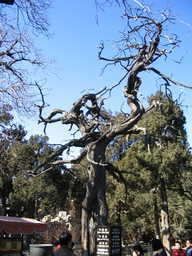 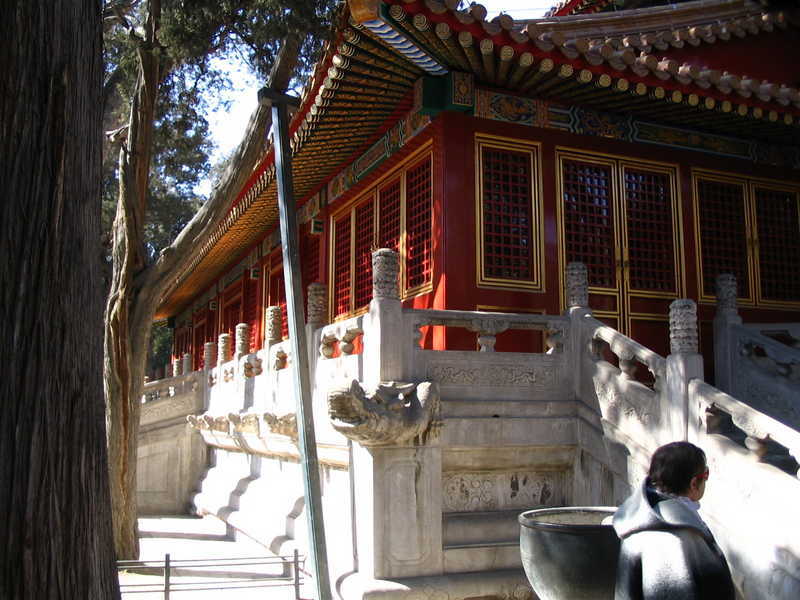 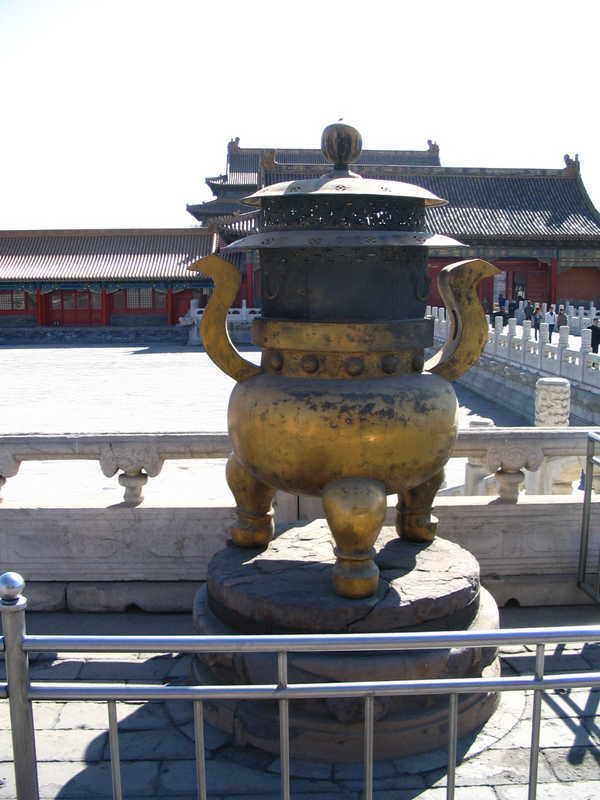 Our next visit was the imperial palace, also known as the forbidden city. 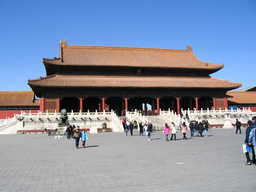 The place is really enormous. Just the moat was huge, giving a hint of the size of everything inside. 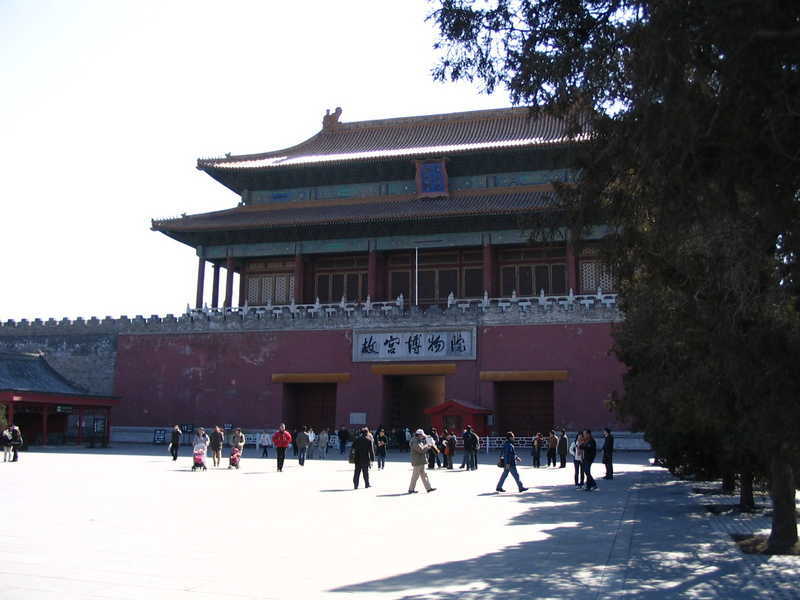 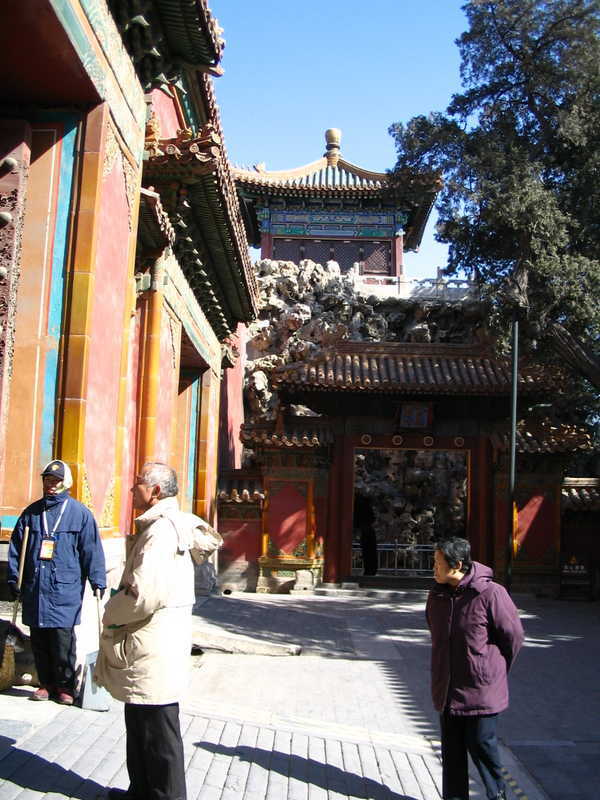 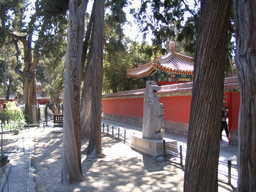 This is the entrance which is on the opposite end of the forbidden city to the famous Tiananmen square entrance (to which we were going to walk through the palace area). 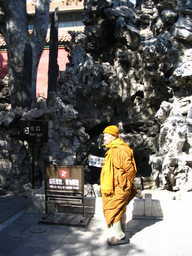 By the way, one thing which struck me on this walking trip, and which I didn't photograph (just out of respect towards these people) was the amount of poverty and the amount of people struggling to survive by trying to sell something, anything to tourists and other people, as well as the amount of beggars. 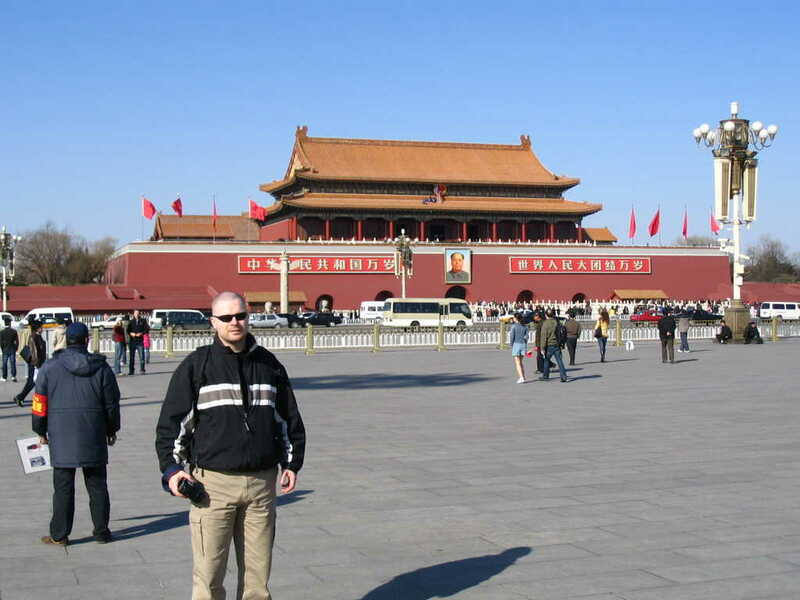 These people were really persistent and tried everything to get you to buy whatever they were selling, or to just give them some money. 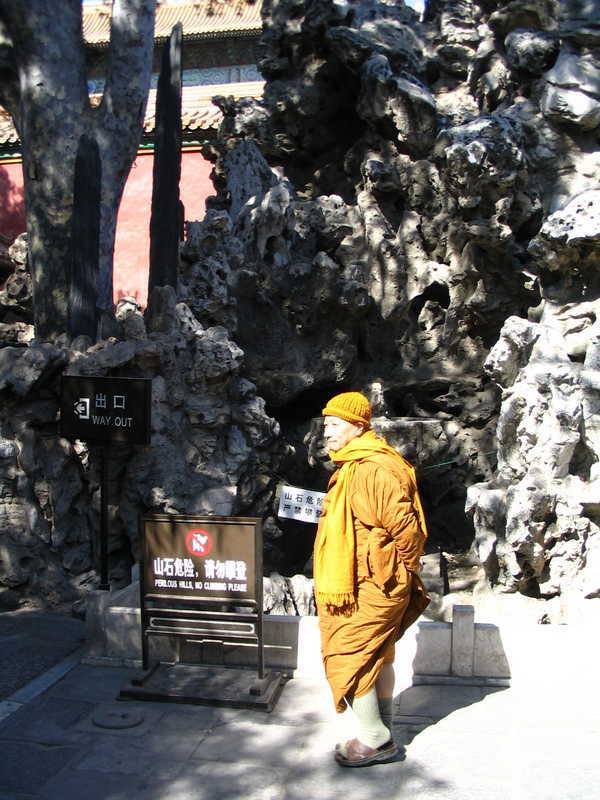 A few even used children to beg for money. 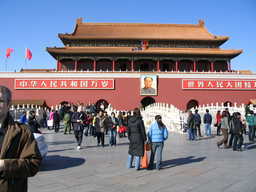 I don't know how communism works in China, but you really couldn't see it (except for all the guards, militia and police, another thing which I didn't dare to photograph in case they didn't like that): There were clearly rich people, with brand new expensive cars, cellphones and everything, and then there were people living in complete poverty, begging for money and living in underground passages. 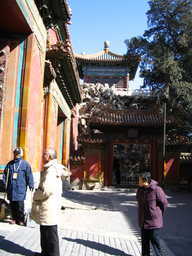 Naturally there are beggars in almost every big city in the world, but the sheer amount of them in Beijing was striking. 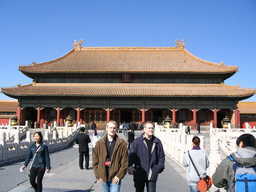 That's me on the left and Jari&Juhani on the right. 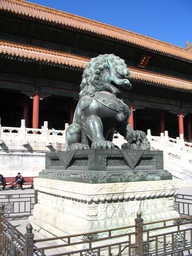 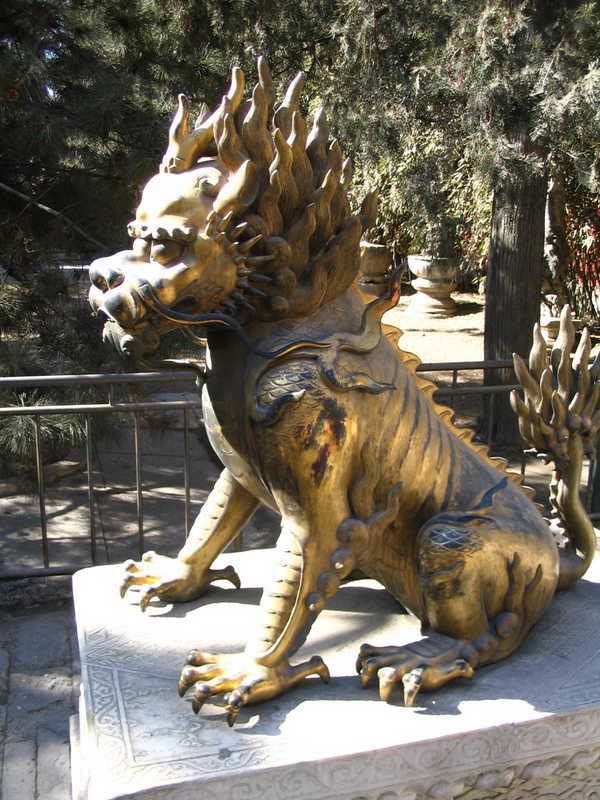 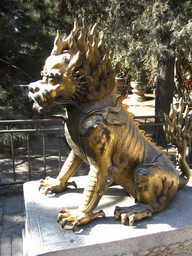 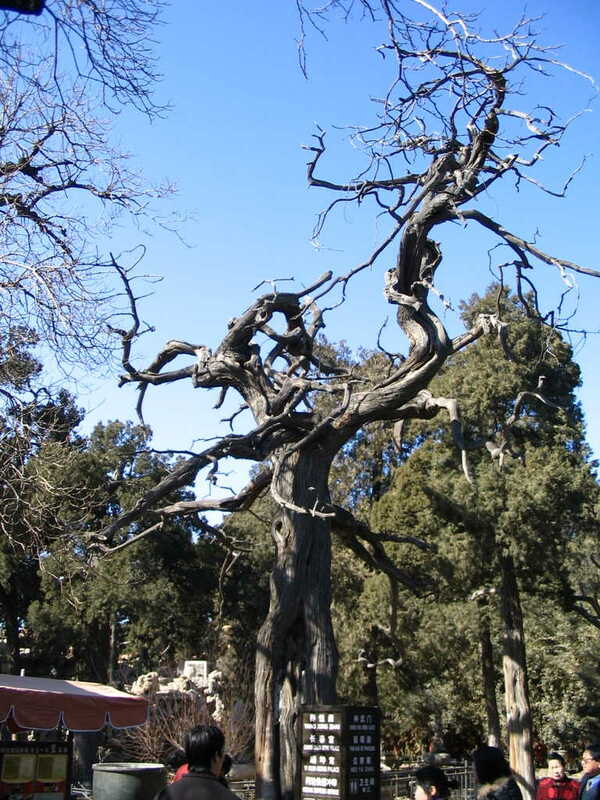 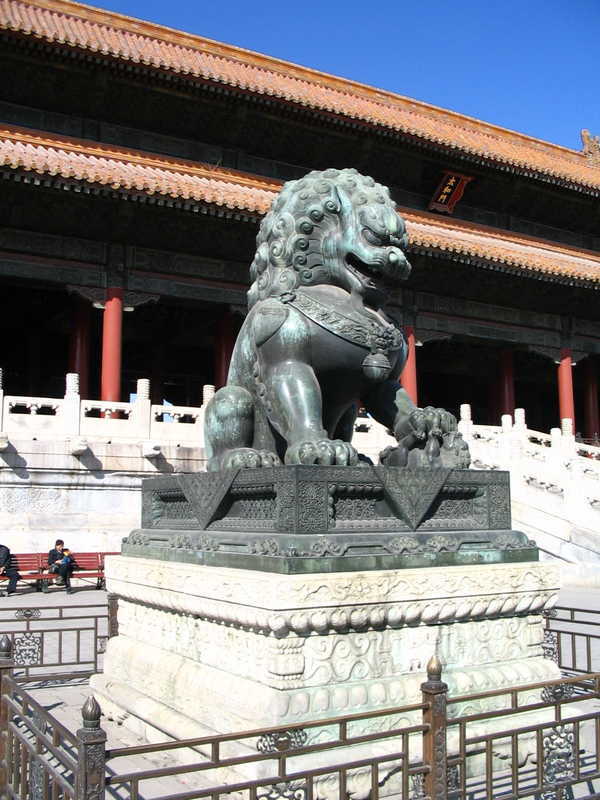 This is probably the original lion statue which you can see copied all over Beijing. 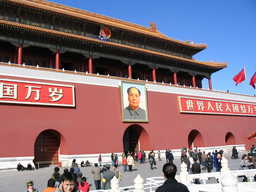 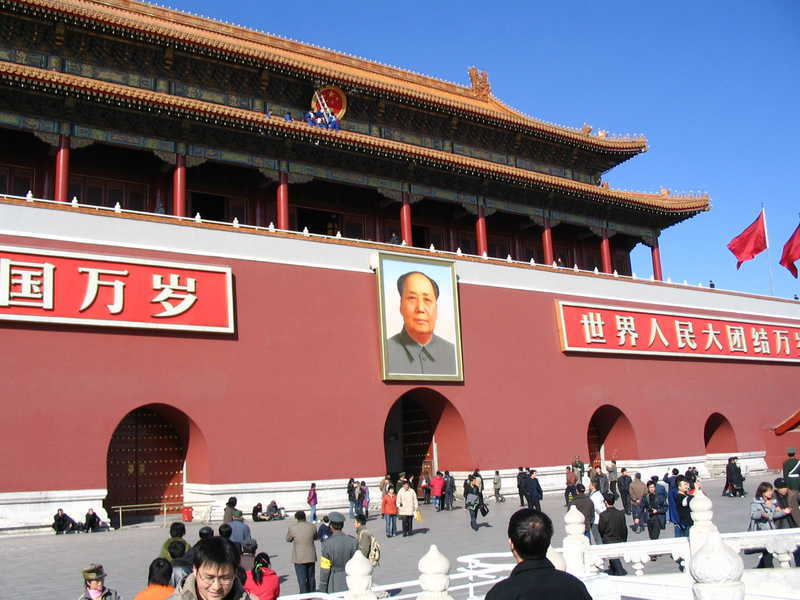 Finally the Tiananmen square exit, with the famous painting of Mao. 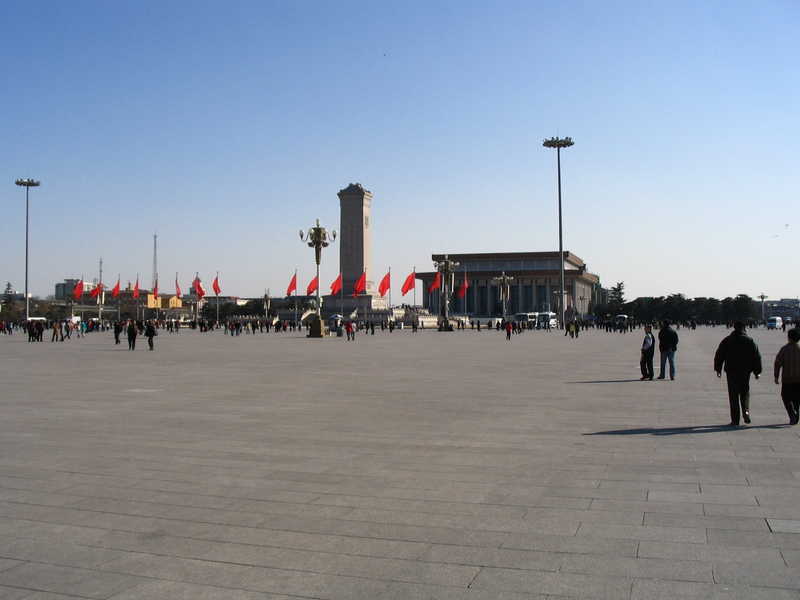 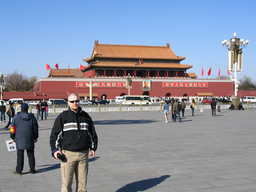 Me in the famous Tiananmen square (which you can see on the right).